Right from the start when unicorns arrive on Lacey's doorstep I just knew I was going to be laughing out loud a lot today. I really love Meg, Lacey could not have asked for a crazier more lovable best friend. Meg is just amazing but what I love most above all her shenanigans is that she always has Lacey's back. Anthony and Meg are still working out how to share Lacey which makes for more laughs and tears and compromises but they are working on it. Lacey's enthusiasm for holiday decorating is just priceless but also Lacey's love for life is just infectious and it even seems to be rubbing of on Anthony and cracking his tough guy exterior, he is even opening up more to Lacey which is wonderful and I do love how patient she is with him she just knows to trust him because he is the one for her and no matter what his secrets he will tell he when he is ready. 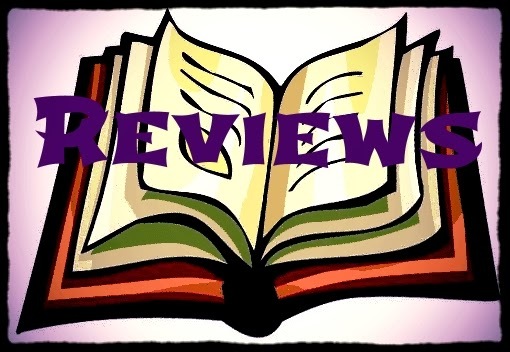 Lacey and Anthony's relationship is growing with them and its been a joy to read each book they have both grown, changed and adapted to new layers of themselves and each other as a couple, I just love reading about them. Oh new relationships are so much fun Meg and Clay are still trying to find their feet together it makes for such great laughs, Meg not wanting to label or define what she and Clay have, but you can tell she secretly wants more than what she grew up with. Behind Meg's happy go lucky exterior is a small, vulnerable little girl who just wants to be loved, Clay seems to be the one to get that without making a big deal about it, which is perfect because Meg hates it when she is personally in the spotlight, I mean she loves attention but not if it's focused to closely on her, if everyone looked to close they might see the cracks behind her smile. When Lacey's young cousins Marissa and Clarissa go missing Lacey's grandfather turns to her to find the girls have they really run away as most young girls do at some point or have they been kidnapped, Lacey will figure it out. As usual Lacey seems to have bitten off more than she can handle, besides looking for her cousins, Lacey is still working out nuances in her relationship with Anthony are they really living together? and because actually asking Anthony is just too easy lol Lacey is trying to figure things out her own way. Lacey also has a surprise in the works for Anthony's birthday can she pull it off or will it all end in another Lacey 'moment'. I'm not sure who I laughed at more Meg, Nora, Lacey or poor Anthony lol. Every Lacey book has been laugh out loud hilarious but Spice was a step up from the rest these guys just rock as characters. Lacey is busy trying to find her young cousins and keep her grandmother distracted at the same time, somehow in all of this Lacey, Nora and Meg end up in a cooking class which had all the hallmarks of disaster but with one shining star Nora, lol I love how she discovered she can cook if only she follows a recipe and her food is really good this was one of the funniest moments for me, I just loved it. 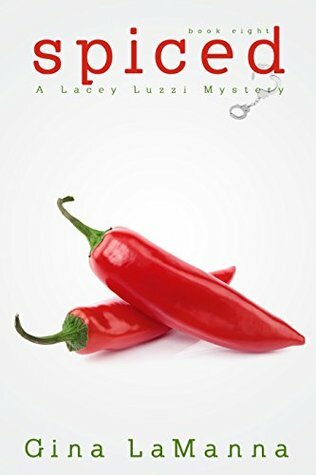 I have loved all of the Lacey Luzzi Mysteries, this is one of my favourite series I get really excited when a new story comes out. I love the whole cast of characters even the bad guys make you laugh. Lacey and her family will worm and squiggle their way into your hearts, they will make you laugh out loud many times at their antics, they will make you cry when you think tragedy has hit them, or when one of them shows a crack in their tough layer and more than anything they will make you feel like family.